Only few people are equipped with the requisite experience and exposure to offer perspectives on how best to waltz through the odds and beat all challenges to attain business success. In Nigeria and indeed Africa, Mr Jim Ovia surely ranks among those few who have what it takes to discuss such a topic at global level, and he recently did by putting down his thoughts. Therefore, if there is any book that would-be-entrepreneurs on the continent need to read, it is ‘Africa Rise and Shine: How a Nigerian entrepreneur from humble beginning grew a business to $16 billion’ because it challenges many of the assumptions on what differentiates those who realize their dreams from the defeated ones who walk quietly back home. In ‘Africa Rise and Shine’, Ovia tells a compelling story of how what is today a multinational bank with branches in several countries started “as a single branch in Lagos on the ground floor of an improvised residential duplex that we shared with a private tenant and his wife”. That is because he and his team could not afford a stand-alone building at the time. Yet, less than three decades later, that same bank has annexed the entire street in the commercial capital of Nigeria, a stretch of road in a highbrow area of Victoria Island, Lagos that has almost become synonymous with Zenith Bank. Without doubt, ‘Africa Rise and Shine’ is a most revealing book. Divided into 30 chapters which explored the gamble, the sacrifices and the expertise that combined to make Zenith Bank what it is today, notable players in both the corporate world and the media like Richard Branson of Virgin Group, Aliko Dangote of Dangote Group, David Applefield of Financial Times, Dominic Barton of McKinsey and Matt Lilley of Prudent Africa added their insightful blurbs. Though initially inspired by an Africa Forbes magazine cover story, “Why $825 Million Means Nothing to Me – Jim Ovia: The Godfather of Banking,” which sold out within days of publication, Ovia said the moment he began writing the book, his determination was to respond to some negative stereotypes by illustrating the untold story of the positive vibes in Africa – a continent of abundant human and natural resources that is also brimming with immense and diverse investment opportunities. And to a large extent, he delivered. While ‘Africa Rise and Shine’ sheds light on the principles and practices that brought Ovia to fame and fortunes, the author also sought to provide insight, not just for bankers, but for other young African professionals on how to nurture their endeavours to success. 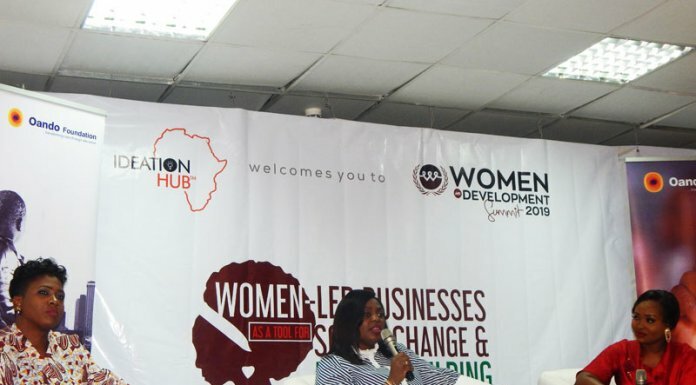 First, Ovia appreciates the daunting challenges such as infrastructural deficits, unstable government policies and other factors that often confront entrepreneurs on the continent. But going by his story, such deficiencies can actually be platforms on which successful dreams could be built and nurtured. Principal among the secrets of Ovia’s success, for instance, is an intuitive entrepreneurial ability to consider obstacles as entry points to brand building and the vision to translate “not yet” into “finally now”. According to Ovia in ‘Africa Rise and Shine’, he listens to his gut and takes his instincts very seriously. A good illustration is that while studying in the United States in the seventies, though his college advisor convinced him to focus on business management and administration, he held on to his passion for computer science at a period Bill Gates and Paul Allen were just coming up with Microsoft. “My career could be plotted on a graph as series of gut decisions that propelled me further and further ahead of others of the pack. Most significant has been my interest from a young age, in emerging technologies that simply did not exist in Africa, and basing decisions on the belief that mastering and incorporating them onto business – especially computer and internet technology – was imperative for any business wishing to survive and grow in business,” Ovia wrote. Apparently pushed by that intuition, in the course of his senior years at the university, Ovia took up a night job as a computer operator at the Baton Rouge Bank and Trust, a move he considered “greatly fortuitous” because he was being paid for a knowledge he craved. It was also while at the bank that Ovia got his most remarkable experience by gaining insight into how an America bank uses data processing in its operations, a knowledge he later deployed when he founded Zenith Bank. Although the emphasis of the author is that his instinct paid off, it is also difficult to discountenance preparation which is necessary for any entrepreneur desirous of success as well as the ability to take calculated risks both of which were evident in the Ovia story. On the former, instinct may have fired Ovia’s interest in computer at a time it was not so popular but there was also a desire to prepare ahead for what he saw as the next big break. Knowledgeable about banking techniques and capitalising on the collapse of oil prices in 1980s, which led to the implementation of Structural Adjustment Program (SAP) in 1986, a measure designed to restore the Nigerian economy by extending opportunities to the private sector through commercialising or privatising previously regulated industries, Ovia toyed with the idea of applying to acquire a banking license. “When I learned of the opportunity, I decided to make an application to acquire a banking license” he recounted. At this point, the story gets more interesting. “There were two types of banking licenses issued in Nigeria at that time – those for merchant banks and those for commercial banks. The latter required a higher equity contribution of N20 million ($4 million) from investors and entailed more difficult business operation, therefore many chose the easier route of applying for a merchant bank license (equity contribution of N6 million – $1.2 million). My gut told me to go the more expensive, complicated route – the road less traveled. So, I decided to apply for a commercial banking license instead”, Ovia wrote of the gamble that paid off. Written essentially for young entrepreneurs within the continent who are still trying to find their bearing as well some of the aspiring ones who feel discouraged by the daunting challenges they confront, ‘Africa Rise And Shine’ contains several wise nuggets, including learning negotiation skills even from the most mundane of experiences. But the bottomline remains that negotiations involve ultimately finding common grounds for the benefit of the parties while the shrewdest would always secure the best deal. On many occasions, Ovia came on top in such negotiations as can be glimpsed from the chapter on ‘How and why MTN bought Visafone’. 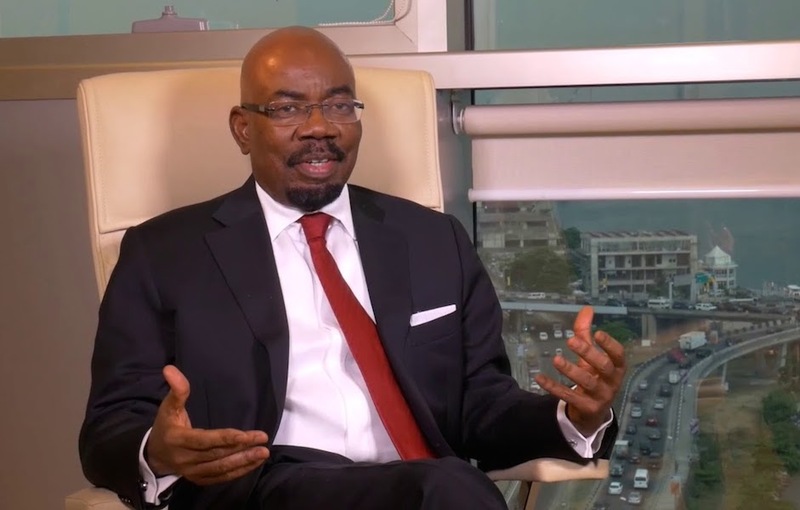 Undaunted, Ovia said he told the CBN team that he was aware of the rule, but insisted that he had gained superior banking experience at global institutions like IMB, FNBC’s subsidiary in Nigeria and Merchant Bank of Africa, a Bank of America subsidiary, and that he had everything it took to run a successful bank. “In the end, the CBN directors issued their approval to the Minister of Finance, recommending that I be granted my application to become the pioneer CEO of the new Zenith Bank,” he recalled. Reading through ‘Africa Rise and Shine’, Ovia’s zeal to create a first-class bank was evident in all the growth stages of Zenith Bank. That zeal saw him through the licensing stage, commencement of operations, introduction of innovative banking systems, as well as in the aggressive growth strategy both locally and internationally. Of course, there were also challenges along the way. The bank survived the 1999 Y2k millennium bug and the 2004 federal government directive that banks must be recapitalised at a minimum of N25 billion ($188 million) from N2 billion, or be liquidated. It was a development that sunk 65 of the 90 banks in existence back then, but Zenith was one of the only two banks that had no need to acquire or merge with any other financial institution. To cope with that, the bank simply announced an initial public offering (IPO), which was oversubscribed to the tune of a whooping N48 billion ($360 million back then). While ‘Africa Rise and Shine’ is highly recommended for the insights it provides for budding entrepreneurs as well as teachers and students of business on the continent, the story of Ovia will however be incomplete without underscoring his insatiable urge to give back to the country that has given him the opportunity to soar so high and that was well captured in the concluding part of the book. In the end, ‘Africa Arise and Shine’ is a story of how business success could be achieved through a strong commitment to one’s inspired dream, an abiding tenacity of purpose and a can-do spirit that sets apart only a few from the crowd.